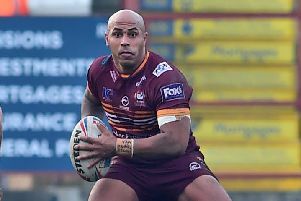 Former Batley forward Brad Day is closing in on 100 career appearances as he prepares to face his former club with new side Featherstone Rovers. The 24-year-old made the switch from Mount Pleasant to the LD Nutrition Stadium at the end of last season. He spent four years at the Bulldogs and was voted the club’s Players’ Player of the Year in 2018 after scoring 14 tries in 26 appearances.